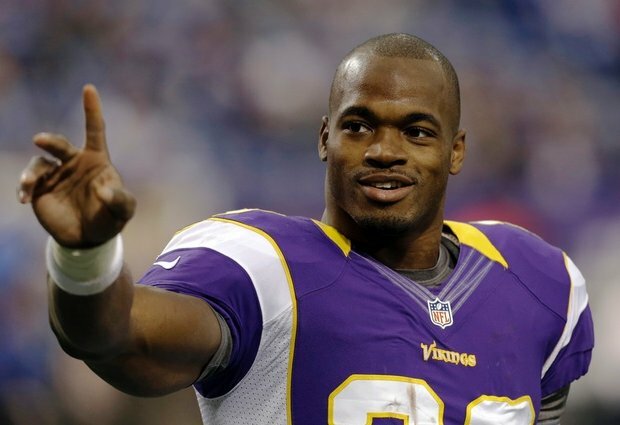 Adrian Peterson has lost his 2-year-old son under violent circumstances. Initial reports from TMZ revealed that the child had been taken to a Sioux Falls, South Dakota hospital after a 911 call was placed from the mother’s apartment. The call reported choking, but examination at the hospital revealed the little boy “suffered injuries to his head consistent with abuse.” Sadly, he did not survive. Taken into custody was the mother’s boyfriend, a 27-year-old named Joseph Robert Patterson, who made the call and was at home with the child at the time of the incident. He has been charged with “aggravated battery of an infant and aggravated assault.” More serious charges are being considered. At this time, it has been said that this child is not Adrian Peterson, Jr. The mother of the child is not under investigation. Condolences and prayers have been pouring in not only from fans and Peterson’s Minnesota Vikings teammates, but from athletes in all sports. Ballertainment offers the same.